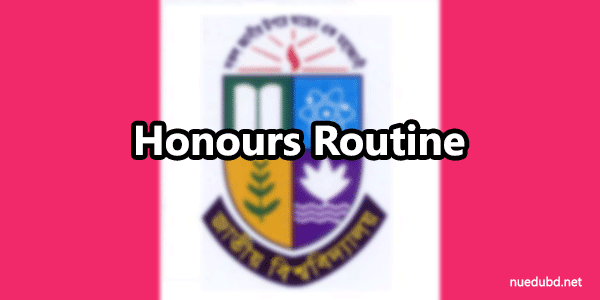 Hello guys, NU Honours 3rd year routine 2016 of academic year 2015 has been published today. If you are a student of Bangladesh National University Honours 3rd year 2015 then this article is only for you. Here You can download this NU 3rd year routine PDF and JPEG format. Bangladesh National University official website, recently published the result. You can download this from our website. National University Honours 3rd Year Exam Routine 2015 of current year 2016 has been published. National University Honours 3rd Year Exam Routine 2015 pdf download link for everyone., Nu honours third part routine 2015 JPG image for regular, irregular & improvement students are available here. National University Honours 3rd Year center list 2015 will be also available here soon. If you Are Looking for National University Honours 3rd Year Exam Routine 2015? National University Honours 3rd Year Exam Routine 2015 for regular, irregular and improvement students routine of this exam has been published today from official website of NU EDU BD.. According to the Routine NU Honours 3rd Year Exam 2016 for the regular,irregular and improvement all types of students will be starting from 05 September 2016 to 15 October 2016. Every exam will be starting from 1:30 PM and exam Duration is 3:30 Hours. This NU 3rd Year Examination will be held according to the syllabus which is Effective from 2009-2010 season. 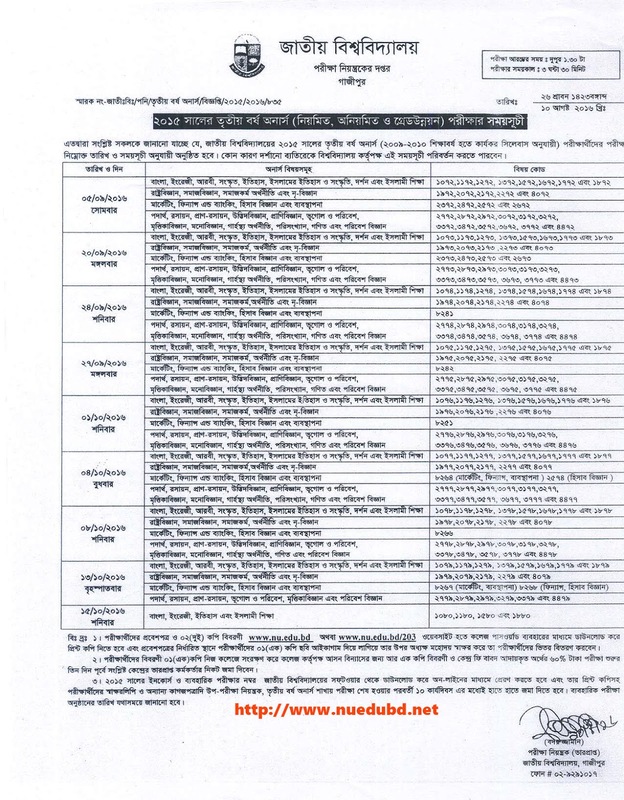 National University 3rd Year Center list 2016 of Academic year 2015 till not published by NU EDU BD. When officially publish it, then we will update it here. You can also download this from our website. Till then wait or you can also Like our Facebook Page for regular updates. Basically National university every exam result publish after 3 months end of exam date. We will also publish NU Honours 3rd year result 2016 on our website, NU EDU BD. You can visit our website regularly for every result news and every routine of any year. We always publish every result and routine at first and publish pure news about Bangladesh National University. Thanks and keep sharing our every post. Because your support is our features.